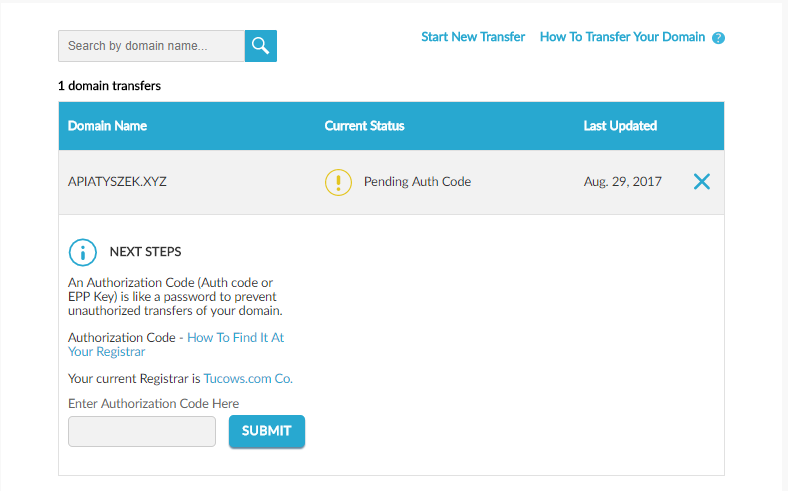 Network Solutions—Where Should I Enter My Authorization Code? 2. Under the My Domains area, click the Transfer Status link. The Transfer In page opens. 3. On the Transfer In page, click the + plus sign next to a domain that is in a status of Invalid Auth Code or Pending Auth Code. 4. In the field, enter the code. You have entered your authorization code. How Do I Transfer a Domain in to Network Solutions? What Is an Authorization Code?